I use a lot of ginger in my cooking and in my drinks, its one of my essential ingredients in my cupboard. 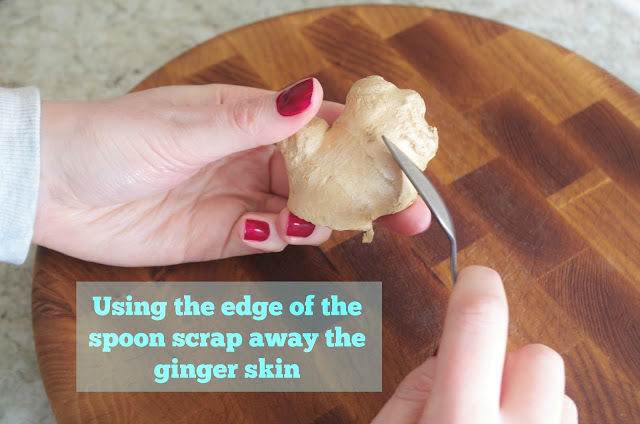 However I do struggle when taking off the skin with a knife, I always end up cutting most of the ginger off with it! And if I'm honest I'm just a little bit rubbish when using a peeler. 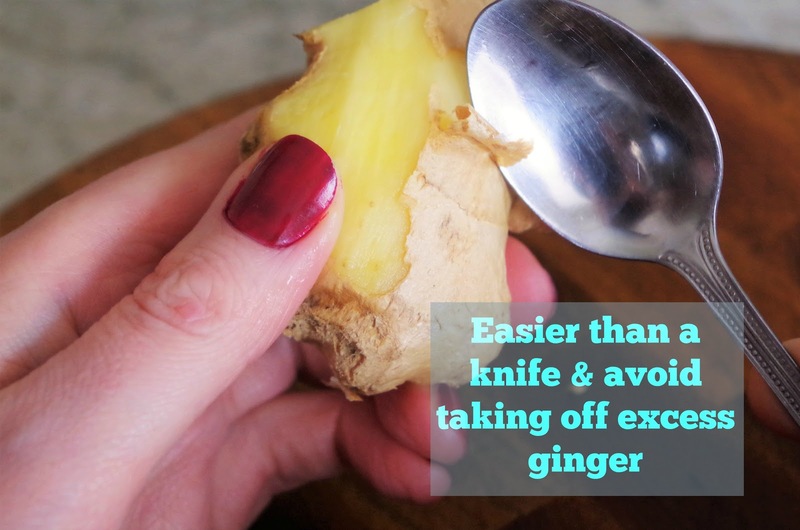 This quick and easy food hack will save you time, avoid taking off any excess ginger and is safer than using a blade to peel especially due to its difficult shape. Why not give it a go..? This post has been sponsored by Walkers Tear 'n' Share a thicker cut crisp with the unmistakable taste of Walkers. It comes in a innovative bag that turns into a BOWL! It's simple design is easy to use just open, share and enjoy with friends and family. I shared my delicious bag of Cheddar Cheese & Onion with my sister. 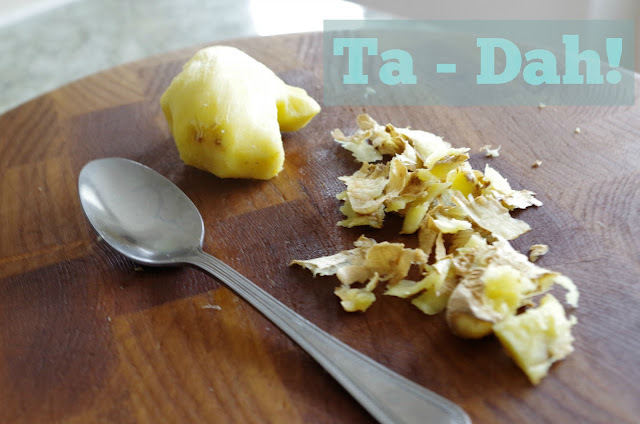 We enjoyed drinks, movies and Walkers Tear 'n' Share perfect for a no fuss girlie night! Walker Tear 'n' Share No Hacks Necessary! 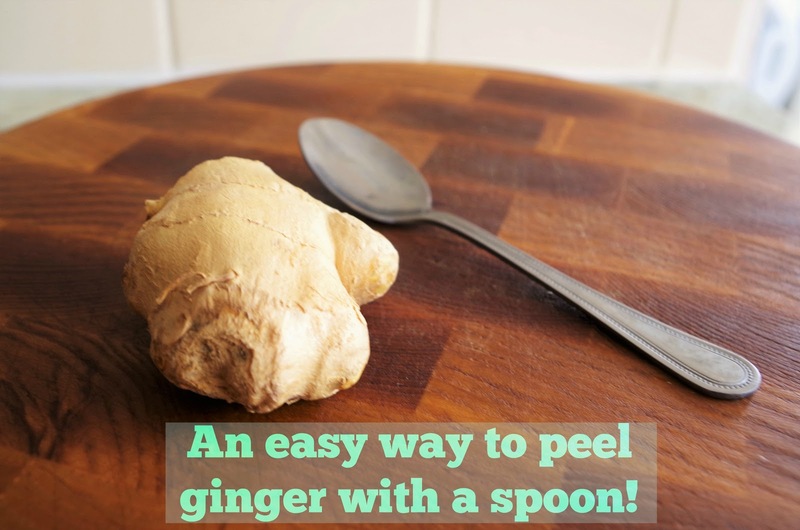 Do you know any good food hacks?